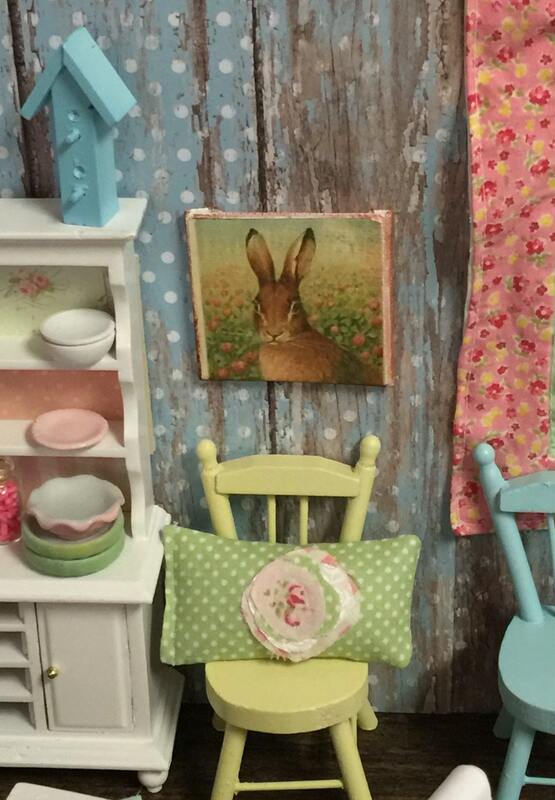 Old World Rabbit Distressed Miniature Canvas 2" x 2"
This Old World Rabbit pictures brings a warm touch to your decor. 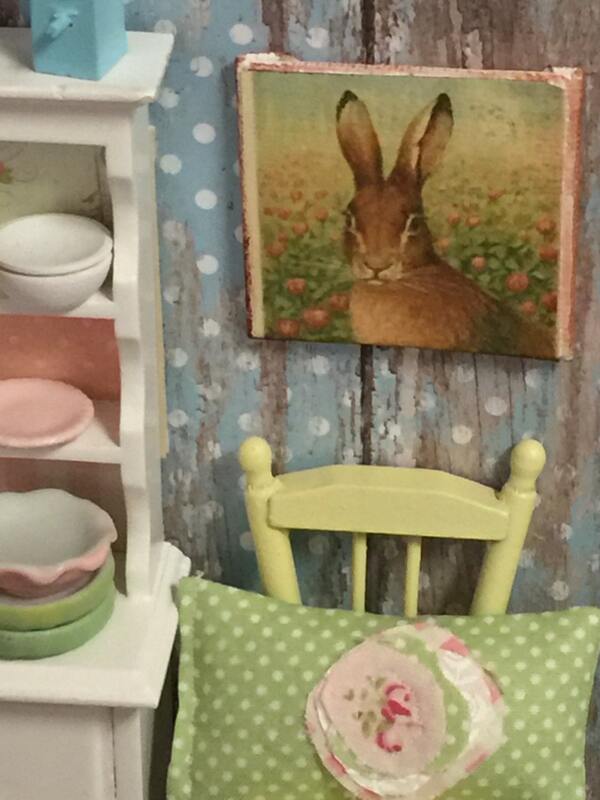 Used as a small backdrop for a spring vignette, or hung on a wall in a diorama, the rabbit is a beautiful touch wherever it's used. 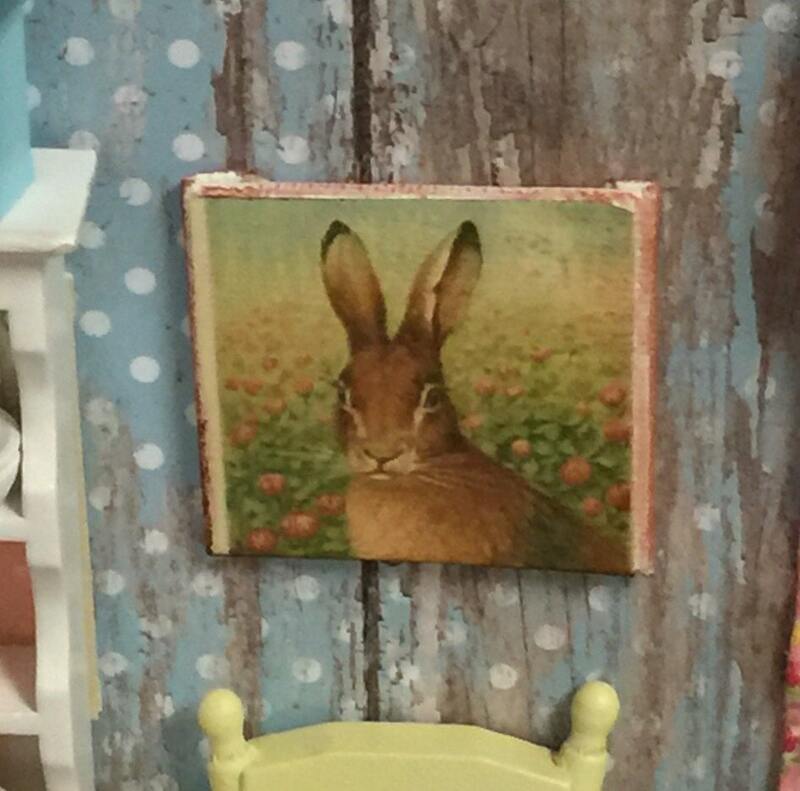 2"x2" the vintage copy of the spring rabbit is adhered to a canvas and the edges are hand distressed. 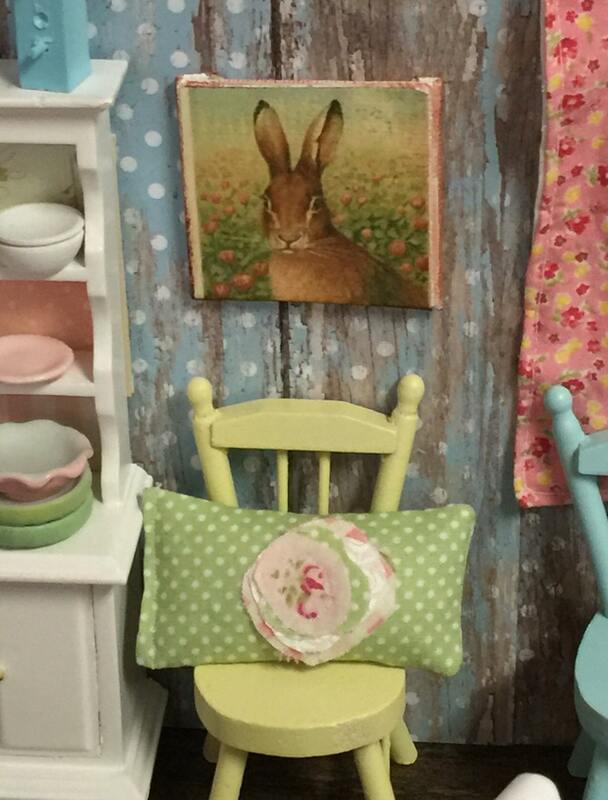 Adorable bunny picture on canvas. 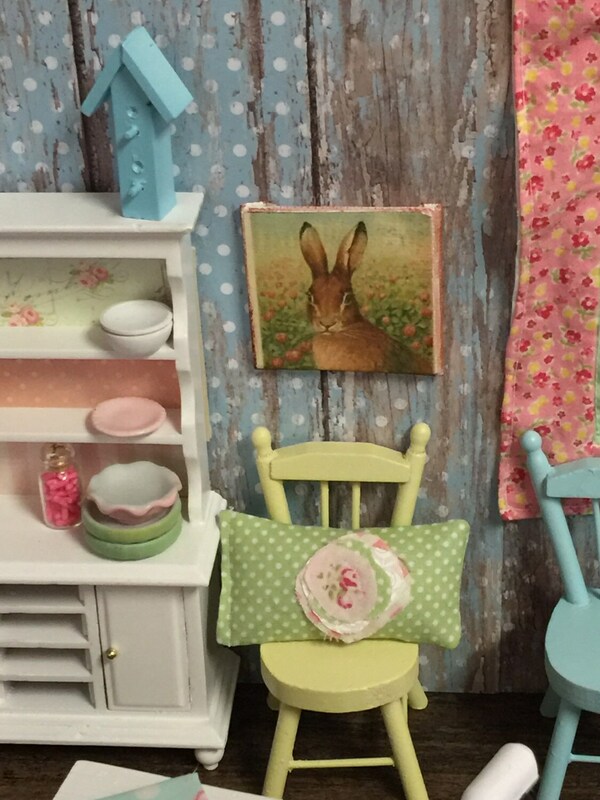 Will be great in my mini home.